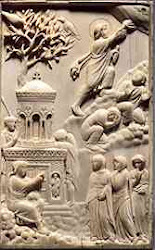 In the series 'Classici et Commentarii. 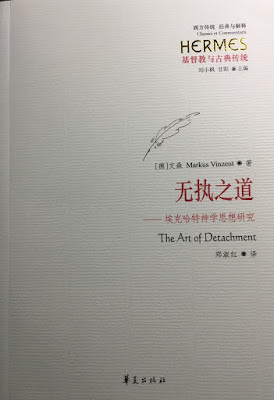 Hermes', my book The Art of Detachment has been published by Huaxia Publishing House. Prof. Shaoming Chen, an eminent scholar in the field of Chinese philosophy, who has been teaching and researching in the department of philosophy at Sun Yat-sen University (Guangzhou, China) for three decades. 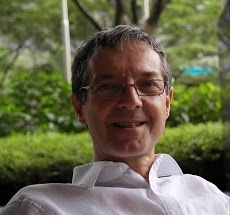 He is currently a visiting professor at the Chinese University of Hong Kong. Chen has extensively published on hermeneutical methodology, Classical Confucianism, Daoism and Neo-Confucianism. Recently he was awarded to become the 'Chang Jiang scholar', the most privileged award for professors and researchers specializing in humanity and the social science in China. I am also grateful to Prof. Lanfen Li, herself, too, an eminent scholar in the field of philosophy of religion and the intellectual tradition of Chinese religion. Prof. Li has been teaching and researching in the same department of philosophy as Prof. Chen for the same period of time. Prof. Li has published over twenty articles in peer-reviewed academic journals in China, has established academic liaisons with a number of institutions of Chinese studies such as Harvard–Yenching Institute. In 2013 she received a funding from UNESCO and was invited by the University of Innsbruck for academic exchange. I have still fond memories of their visit to my institutions and the exchange we had on Medieval mysticism and contemporary hermeneutics. Last, but not least, I would like to thank my former student Dr Shuhong Zheng who did her PhD with me at King's College London and whose monograph on Zhu Xi and Meister Eckhart: Two Intellectual Profiles was published in 2016 in the series Eckhart: Texts and Studies, vol. 3. She has taken the trouble to do the translation of my book, and carried the project through to its final stages. I am tremendously thankful for her immense work and hope that it will allow a further bridge building between what often has been seen as East and West, while my own experience tells me that we are living on a relatively small planet where all can profit from meaningful and resonating exchanges.